When it comes to scams perpetrated against senior citizens, there seems to be a correlation between the time of year and the scam that is going around. 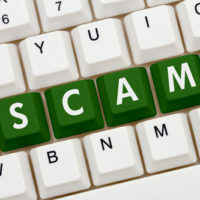 This time of year seniors need to be aware of IRS refund and tax scams. If you're a caregiver for an aging relative, you too should be on the lookout for some of the items on this list that may be happening to your aging loved ones when you are not around. Posted on: March 5, 2019.